The Heineken campaign in Ireland is being rolled out at McCann Erickson Dublin by creative director Shay Madden, copywriter Emma Sharkey, art director Ray Swan, agency producer Genie Dorman. 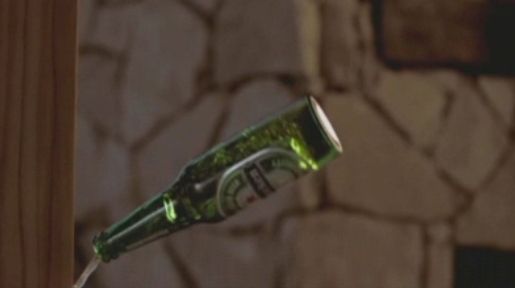 Filming for One Green Bottle was shot by Martin Krejci via Stink. Post production was done at The Mill and Absolute. Music was produced at Reelgood, Dublin. Music is “My Life”, sung by Shirley Bassey. Download the track from iTunes below.